Yoplait easy open packaging helps me #MomOn with school lunches. 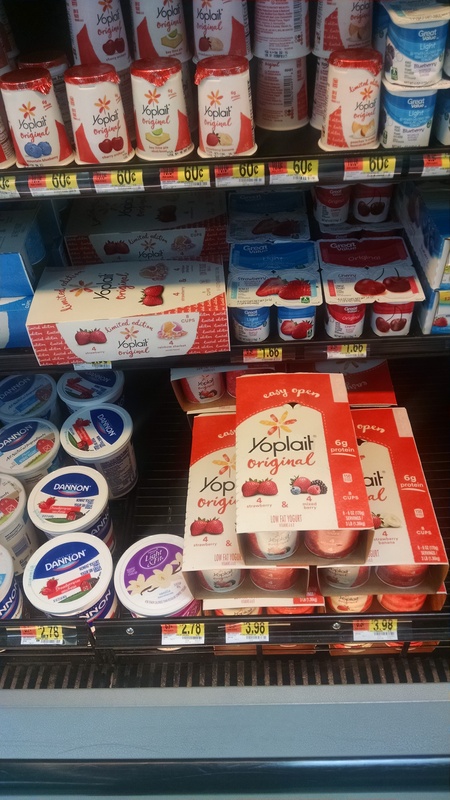 Yoplait is perfect for back-to-school lunches and busy MoMs like me! 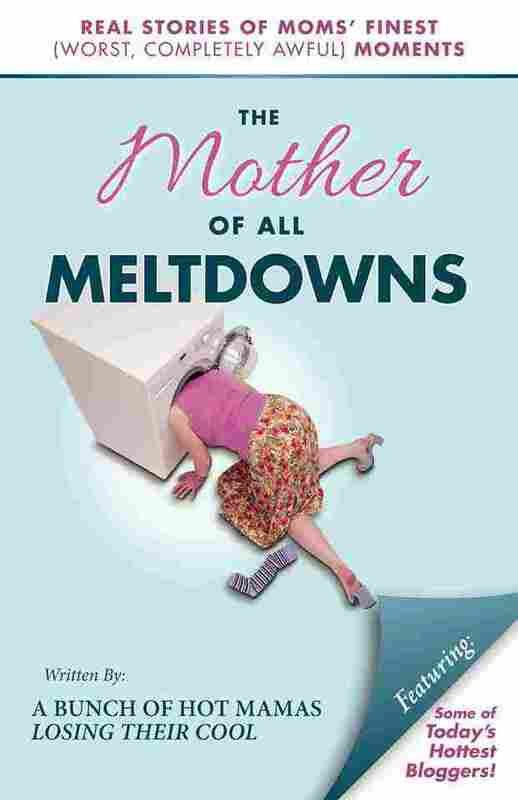 Moms, it’s back to school time! I see your smiling faces. Get ready for rushed breakfast around a crumb-filled toaster, toothpaste globs on the mirror and a daily decision about that lunch box menu. If you’re like me, you prefer to pack your children’s lunchbox each day to ensure they are eating the food you buy; not what their neighbor traded. Kids are often picky eaters and it’s our job to make sure they are eating enough to sustain them throughout their busy school day. 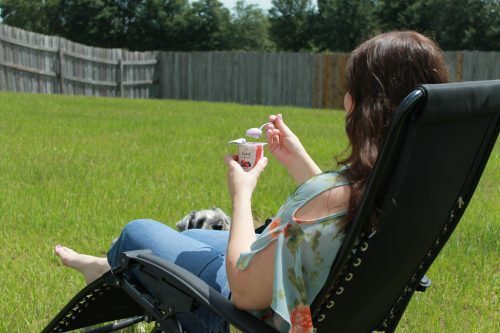 Yoplait yogurt is just one of the tools in this Moms arsenal. 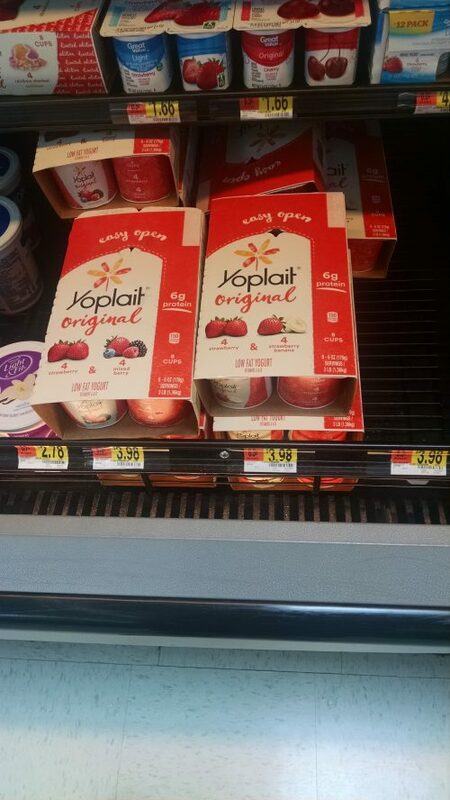 My daughter loves having her choice of flavors so the Yoplait Multipack at Walmart works best for us. 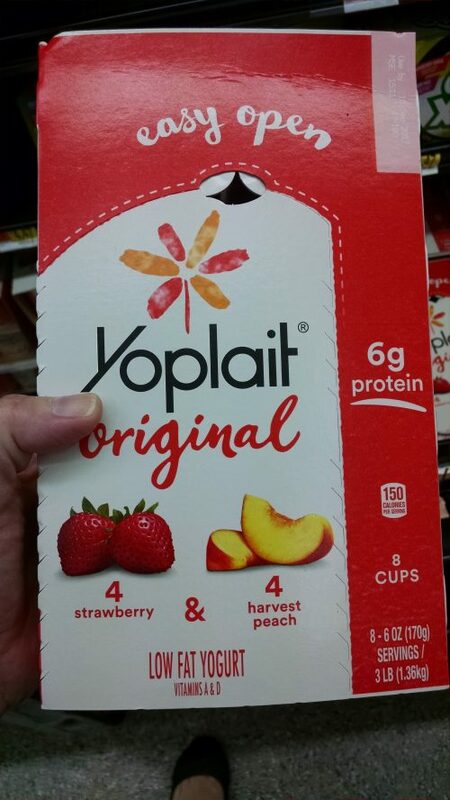 Strawberry and Harvest Peach Yoplait are a staple around here so I love how the new packaging lets me see when I’m running low on any one of them. The design also makes it much easier to grab and go from the fridge in the wee hours of the morning. Yes, that’s when I do my lunchbox stuffing! Do you have a picky eater? How do you deal? Comment below. 1. Preheat the thermos with hot water, replace the cap and let stand for 5 minutes. Drain the water, dry the inside of thermos and pour in hot food. This keeps the contents warmer for much longer. You can do this with most foods like soup, nuggets, or mac ‘n’ cheese. 2. Place a cloth napkin between the cold and hot food sides. The napkin will act as a buffer so that the cold food stays cold and the hot food stays hot. 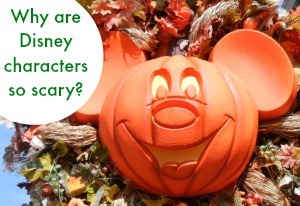 Bonus points if you find a character napkin that your child loves. 3. Buy a set of plastic silverware for the lunchbox. Kid sized silverware will fit nicely in a travel toothbrush holder. Wash and dry each evening and reuse the same set every day. Kids will love picking out their favorite color. 4. Surprise the little ones (and not so little ones) with a special note each Friday. 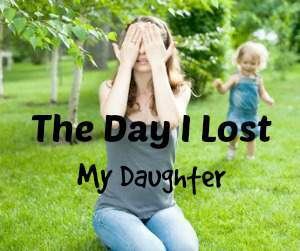 A quick “I Love You” or “Hang in There” on the first day of school will work wonders. 5. Store everything in containers. I love the convenience of sandwich bags but let’s face it…they make a ton of waste. Buy some cute plastic or kid safe glass containers and they’ll pack tightly into a lunchbox. Kids can even decorate them with permanent marker or reusable stickers. 6. 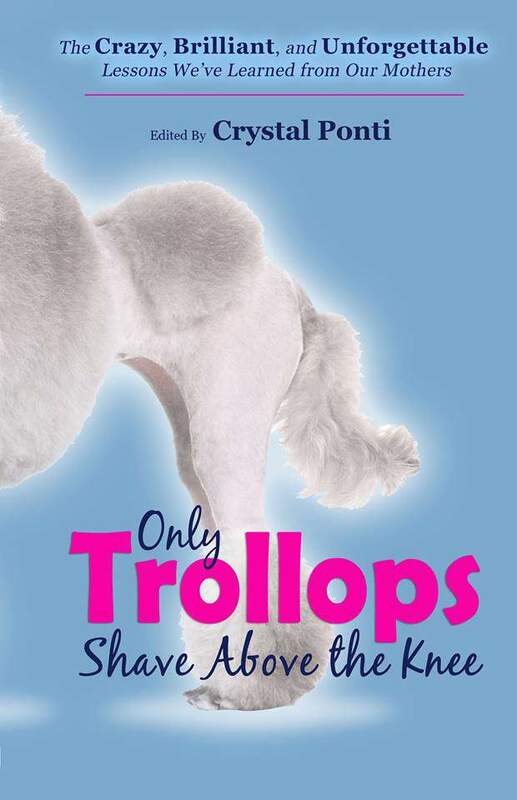 Include frozen Yoplait yogurt. 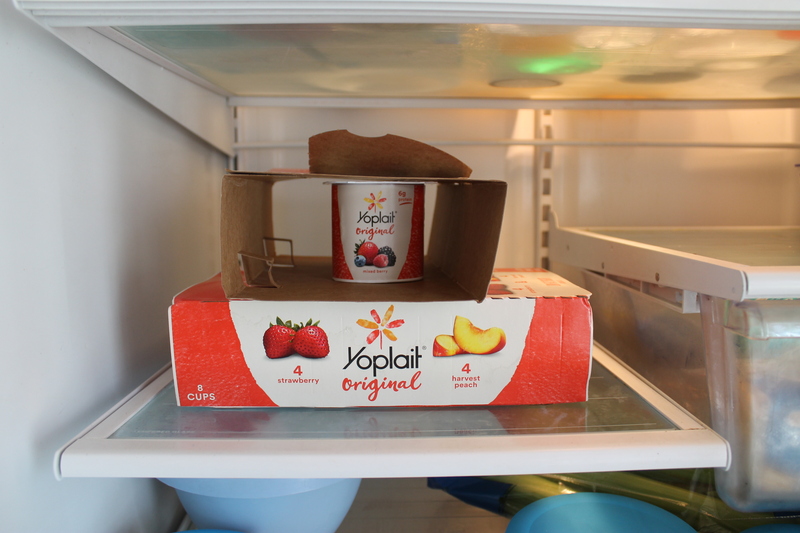 The yogurt box will thaw by lunchtime and be ready to eat. Yoplait Multipack’s new packaging makes freezer storage easy and doesn’t take up much space in the lunchbox. Hint: On a hot day insert a craft stick into the container and freeze. Remove outside layer and enjoy the sweet treat! 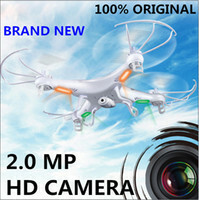 Are you anxious to try the new packaging? Which flavor will you buy first? Let me know. 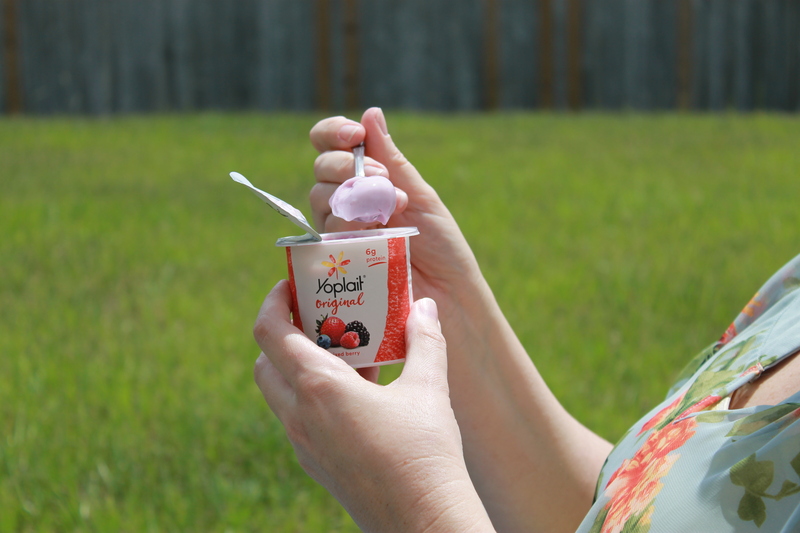 Comments Comments Off on Yoplait is perfect for back-to-school lunches and busy MoMs like me! ← How to Train Your Dragon to Love the New Mazda CX-3!